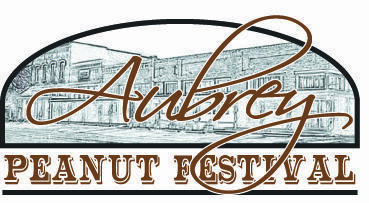 Aubrey Peanut Festival – Although peanut harvesting in the Aubrey area is in our past, area citizens have gathered in the town of Aubrey for an annual salute to the peanut as a part of our heritage since 1986. Attractions include: The parade which begins the day at 10:00 am, with citizens of the area riding past the spectators who line Main Street. Entertainment will include local singing artists, a gunslinger show, strolling entertainers, and a balloon twister. Strolling musicians, face painting, games and activities for children, arts and crafts and food booths. Festival to celebrate peanut heritage in the area. Don’t miss out on the Aubrey Peanut Festival on October 5th in Aubrey Texas! Although peanut harvesting in the Aubrey area is in our past, area citizens have gathered in the town of Aubrey for an annual salute to the peanut as a part of our heritage since 1986. Attractions include: The parade which begins the day at 10:00 am, with citizens of the area riding past the spectators who line Main Street. Entertainment will include local singing artists, a gunslinger show, strolling entertainers, and a balloon twister.